One of China’s biggest automotive design companies CH-Auto Technology is branching out into the business of building cars. 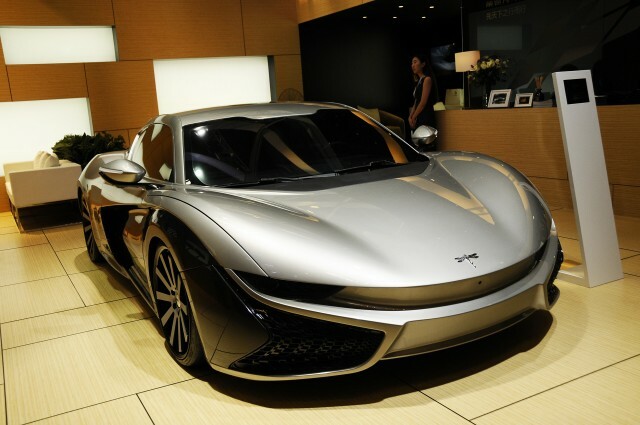 Its first car is to be a small electric sports car not unlike the Tesla Motors [NSDQ:TSLA] Roadster. A concept, dubbed the K50 and marketed under the Qiantu brand, was rolled out at April’s 2016 Beijing auto show. Both a coupe and roadster were shown, the former featured here. Speaking with the South China Morning Post, Lu Qun, the man in charge of Qiantu, said the plan is to sell the K50 in the United States. The targeted price tag is about 700,000 yuan (approximately $104,795). There’s a lot to like about Qiantu’s plans for the K50. It will feature a carbon fiber tub with aluminum sub-frames and an electric motor at each axle. They will deliver a combined 400 horsepower and 479 pound-feet of torque and should see the K50 hit 62 mph in around 4.6 seconds. The top speed will be governed to 124 mph. What isn’t clear is what range will be offered. It’s also not clear where Qiantu will source batteries, with Qun only revealing that both Chinese and international suppliers will be tapped. Qiantu already has a small factory set up in Suzhou, China and plans to start building the first prototypes this month. If all goes to plan Qiantu will have the K50 ready for production in the second half of 2017. Qiantu has already drawn up plans for five other cars, with a mass-market model to come after the K50. Galaxy S9: Rumors, Specs, Release Date, and More! Ask Engadget: Is it OK to buy a tech toy for someone else's kid?